This original Art saved lives in Uganda. This piece is 18″ x 24″. 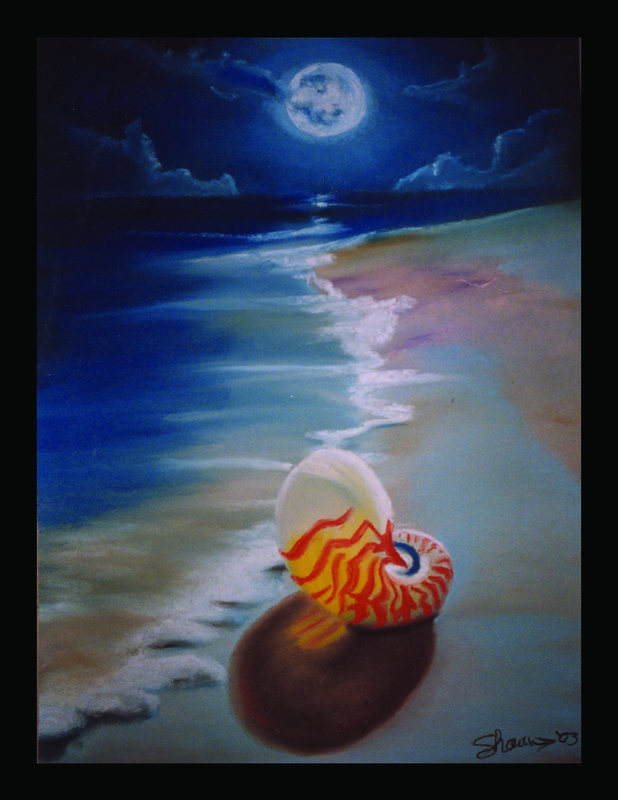 It features a moonlit seashore and a Nautilus shell. One of my all time favorites inspired by another artist. Much love went into the creation and preservation of this piece. Thank you Kaye for giving this special piece a wonderful home and for helping the cause! The Ebenezer Orphanage is forever grateful for your contributions.